The Be Legendary lipstick comes in a rectangular matte black tube with the Smashbox logo printed in matte silver. The tube feels modern and sleek and the lipstick bullet has a great pointed tip for precise application. 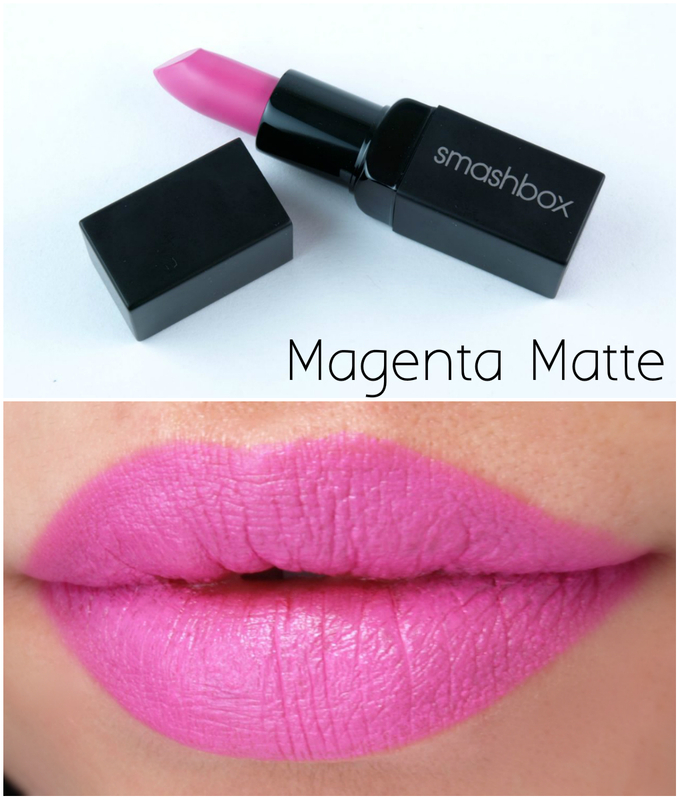 "Magenta Matte" is a crazy pigmented neon blue pink. The formulation is not overly drying but it is not creamy enough for my liking. On the lips, it almost feels like a matte primer and it is not forgiving of any dry patches or flakes. One of the things I noticed about this lipstick is how much it stains the lips. 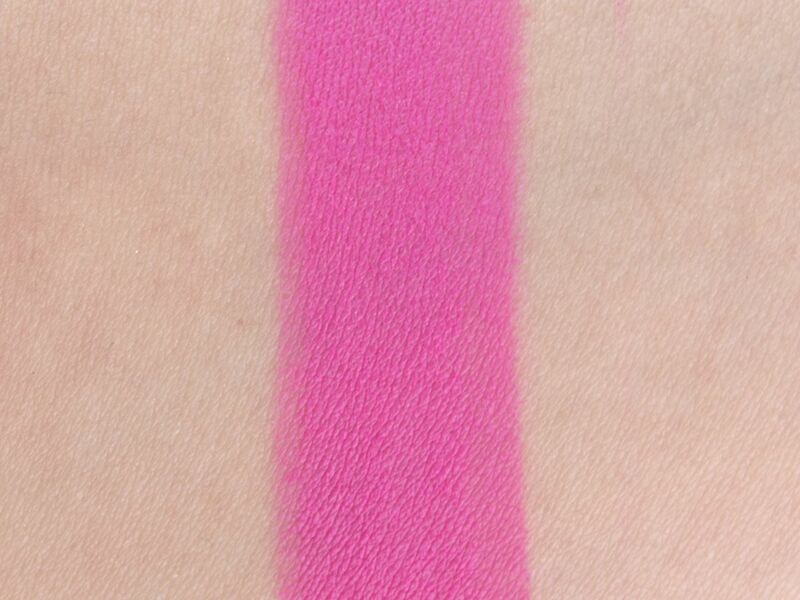 It tints the lips in a deep pink so the color stays long after the actual lipstick wears off. 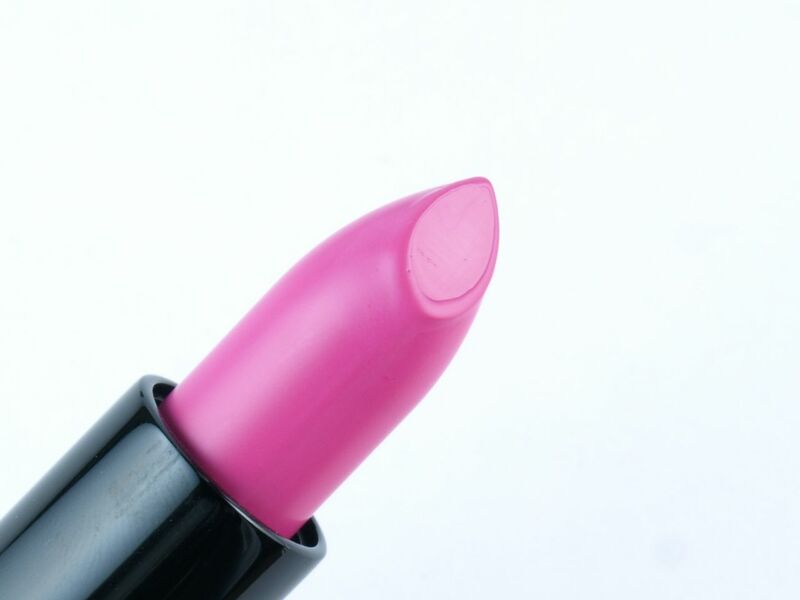 Be Legendary Lipstick in "Magenta Matte"
This lipstick is admittedly super pigmented but I am not a fan of the non-creamy, almost silicon-y formulation. The product isn't drying but it doesn't feel moisturizing either. However, if you are looking for long lasting color (this shade stains like crazy), then this is still worth checking out! 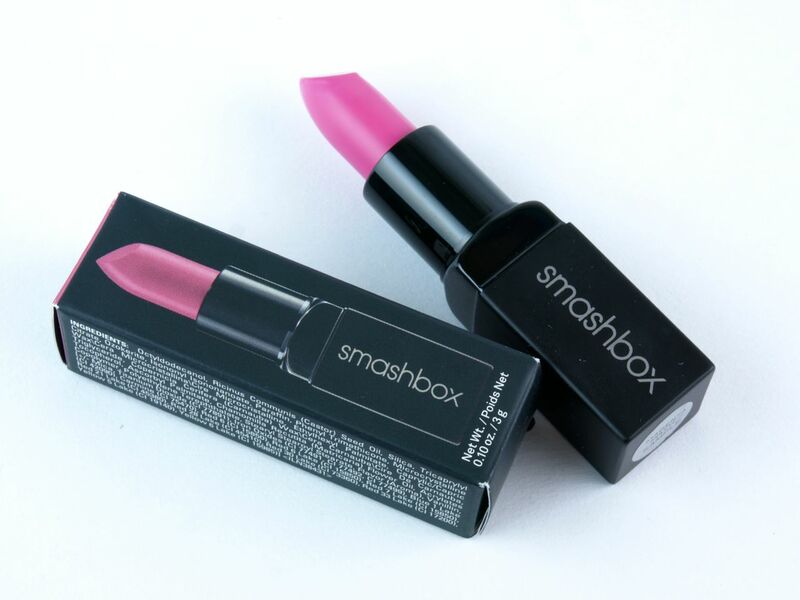 Smashbox is available online at Sephora, Smashbox.com and in stores at Shoppers Drug Mart, Murale.